 Physician Turnover Up - ONRAD, Inc. Diagnostic Imaging | According to survey data just released by the American Medical Group Association and recruiter Cejka Search, physician turnover is rising with economic conditions. It’s up for the first time since 2008.www.PhysicianRetentionSurvey.com. In 2010, the year studied, physician tunrover was 6.1 percent. Turnover has been slowed by older physicians hanging to jobs they’d have left if their nest eggs weren’t tossed by the falling market. The survey aslo reveals that about half (51 percent) of respondents said they do not encourage physicians to delay their retirement, but 49 percent do in some circumstances. Of those who try to keep physicians in practice, they most frequently incent them with flexible hours (90. 6 percent), no call (62.5 percent) and/or reduced call (65.6 percent).